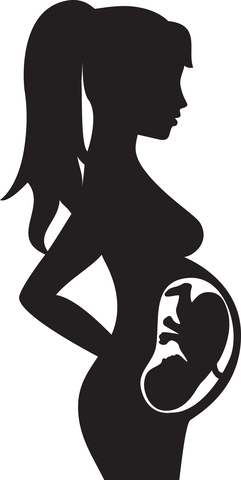 Are you pregnant or the parent of a newborn (up to 18 months)? Would you like a free CranioSacral Therapy treatment? Are you available at 11am on Sunday 29 June (if pregnant) or 11am Monday 30 June (with a newborn)? At the Upledger Institute, we teach a form of therapy called CranioSacral Therapy. it is a very gentle touch therapy that works on the whole body but specifically on the areas around the brain and spinal cord. It can be hugely beneficial during pregnancy, and many people have found it helpful for babies. We are running a class at the end of June, teaching already practising therapists a bit more about working with pregnant women, perhaps those aiming to conceive and also with newborns. We will be covering lots of the theory and application of the ideas and will be keen to welcome any pregnant volunteers to work with on the third day of the class, Sunday 29 June, and any new (ish - up to 18 months) babies and mums (or fathers or grandparents etc) on the Monday 30 June. Both at 11am. The venue is Shipham Village Hall. Sessions are all conducted on the clothed body, on massage tables lying or sitting or however you are comfortable! We would suggest you wear comfortable clothing, and you are welcome to bring other family members. You can find out more about CST below, as well as on the Therapy page of the menu bar above. If you are willing to volunteer, please let us know below, saying which session would be best for you. We will get in contact with you to answer any more questions you may have and share a few more details. I would like to come to the Sunday session I am weeks pregnant. I would like to come on the Monday session My baby is old. CranioSacral Therapy is a light touch therapy that is a gentle yet profound way of listening to the body. It helps the body in doing what it needs to do to correct and heal itself, as far as possible. The techniques we use are delicate, precise and effective in improving the function of the craniosacral system, affecting the nervous system and all that it connects to. While many techniques are carried out from the cranium or sacrum - head and lower back - practitioners may work on other parts of the body too. CST can be applied prior to conception, through pregnancy, labour and delivery. This is empowering to the mother and child, as well as to the father and further family of the newborn. Our experienced practitioners, working with many women and families over many years, have found that complementing traditional methods of prenatal care with appropriate use of CST has sometimes helped preclude the need for other more invasive techniques. CST may also ease the recovery from any necessary invasive procedures. Using a light touch, the therapist monitors the rhythm of the fluid that circulates through the central nervous system of the mother-to-be and the baby. Delicate hands-on techniques are then used to release any tensions that may be affecting either mother or baby. Similar hands-on treatments are applied to a new mother and her baby. The result is a central nervous system that’s better able to function at its greatest levels of health and performance. Please get in touch directly, if you prefer, with any questions. 0800 690 6966.